I think that all of you guys now by now how much I adore receiving fresh flowers. 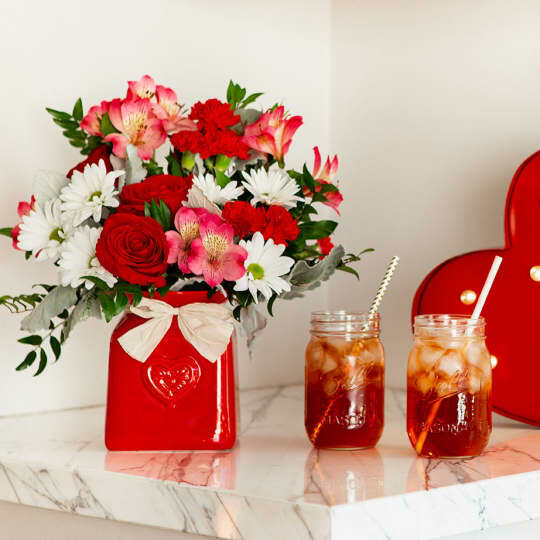 My brand partner and wonderful flower company, Teleflora, has presented some amazing and stunning arrangements you can purchase for your sweets this Valentine’s Day. Let me share a few of my favorites with you. 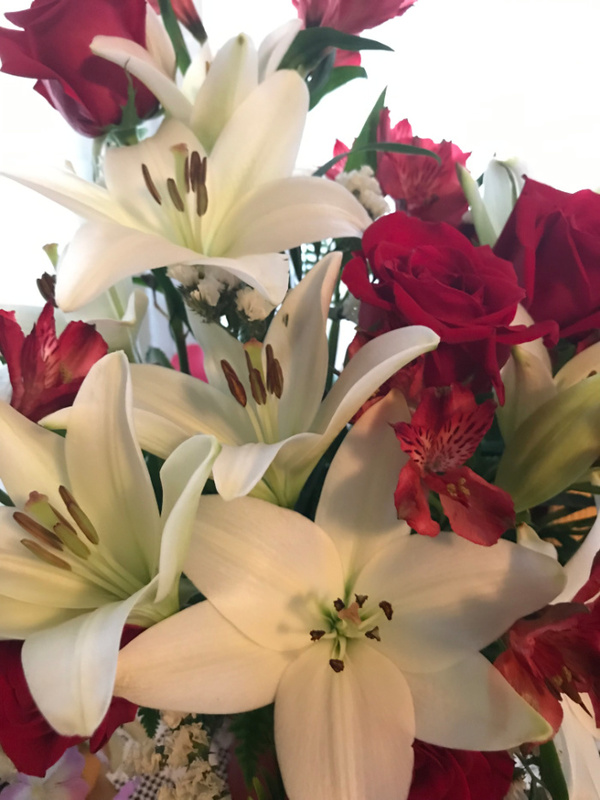 Make your Valentine fall head over heels with this elegant arrangement brimming with classic red roses, white Asiatic lilies, red Alstroemeria and green accents. This beautiful, eye-catching bouquet arrives in a ceramic vase with a soft, satiny gloss and quilted pattern that evokes a passionate feel. 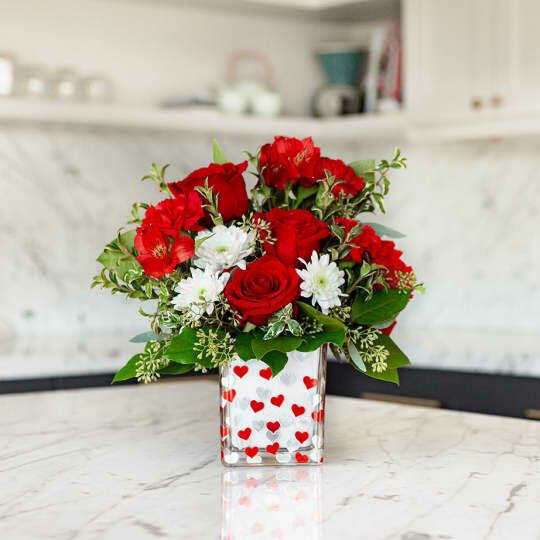 This Valentine’s Day, love like you mean it—out loud with a stunning arrangement from Teleflora. Gift your loved one(s) the perfect surprise— a beautiful floral arrangement that your Valentine(s) will adore. 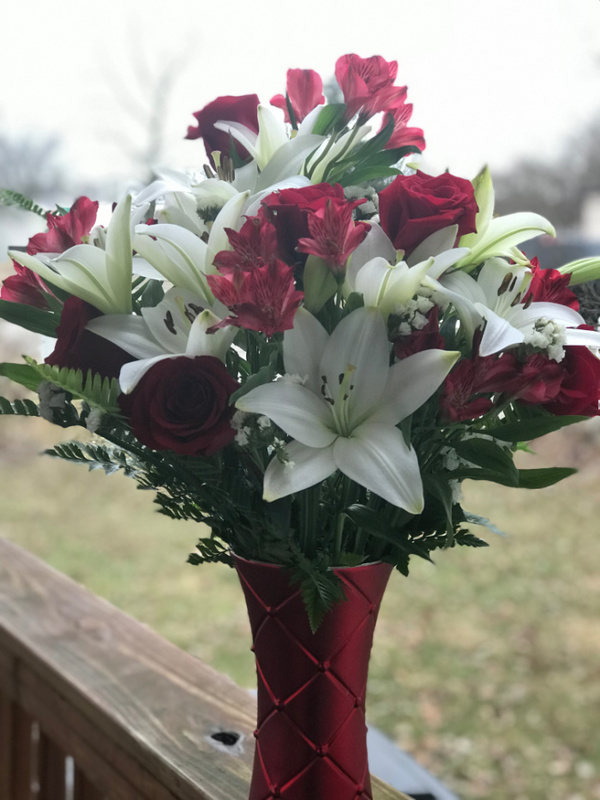 To order a bouquet, hand-crafted and hand-delivered by a local florist anywhere in the country, please visit Teleflora. Teleflora is the leading provider of floral arrangements for any occasion. Be sure to check out these and other arrangements available. 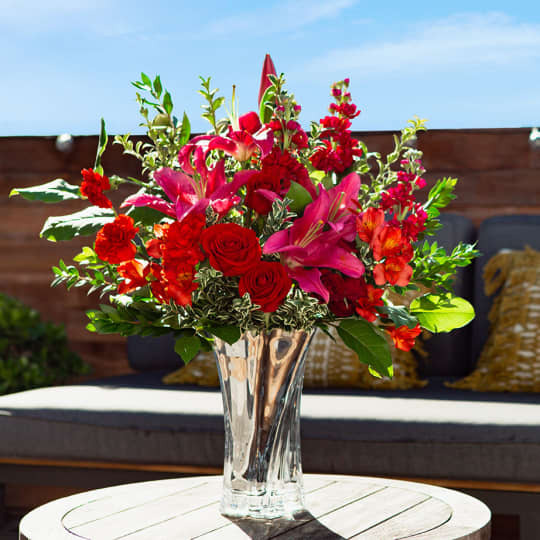 Stay connected with Teleflora socially for all of the latest bouquets and product savings. i love these! I wish my Mom was alive to send her one. Flowers just brighten up these dreary, gray Winter days. I love their Valentine’s Day pink or purple bouquets. The flowers are so pretty! I always love to receive them any time of year! Teleflora has been my go-to floral delivery company for years; love all their arrangements and gifts. I get a bouquet every year for my kids. They have such beautiful flowers. I love all the flowers. I never get any and I am 60. The Sterling Love is my favorite. I really like the different flower arrangements at Teleflora. These all are simply stunning! These are all so cute! The country sweetheart is probably my favorite! Their arrangements are so gorgeous it would be so hard to choose which to send aomeone. They always have the most beautiful bouquets. It’s great that they have such a wide variety of bouquets while still fitting the Valentine’s Day theme, considering that everyone has different preferences and needs (e.g. allergens) for flowers. They have so many beautiful arrangements. I would have a hard time choosing just one! I love the flower combinations that are suggestions for different events. Flowers just add a special touch to the event. For met though I love it when tulips are added into the bouquet. Teleflora have such beautiful bouquets. They make it so easy to order flowers and they have a huge variety of arrangements to choose from. Teleflora has beautiful bouquets for every occasion!